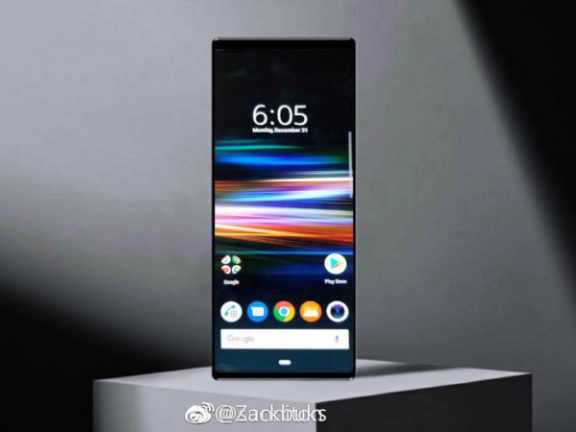 Renders of Sony’s unannounced Xperia XZ4 have surfaced online showing off the display of the company’s rumoured device. The flagship handset will reportedly feature a 6.5-inch display with a very tall 21:9 aspect ratio. The device is also said to sport a metal frame, which seems unlikely considering a metal body also means the phone won’t feature wireless charging. This leak was originally from China-based social media site Weibo and published by GizChina. Looking at the photo, the device features the pill-shaped home button which makes it clear that the phone runs Android 9 Pie. The handset also has Sony’s own Xperia launcher. The phone also has very thin bezels similar to Sony’s Xperia XZ3. Like with many leaks, readers should take all of this information with a grain of salt given the phone hasn’t officially been revealed yet. Sony will unveil its Xperia XZ4 at MWC 2019 on February 25th.